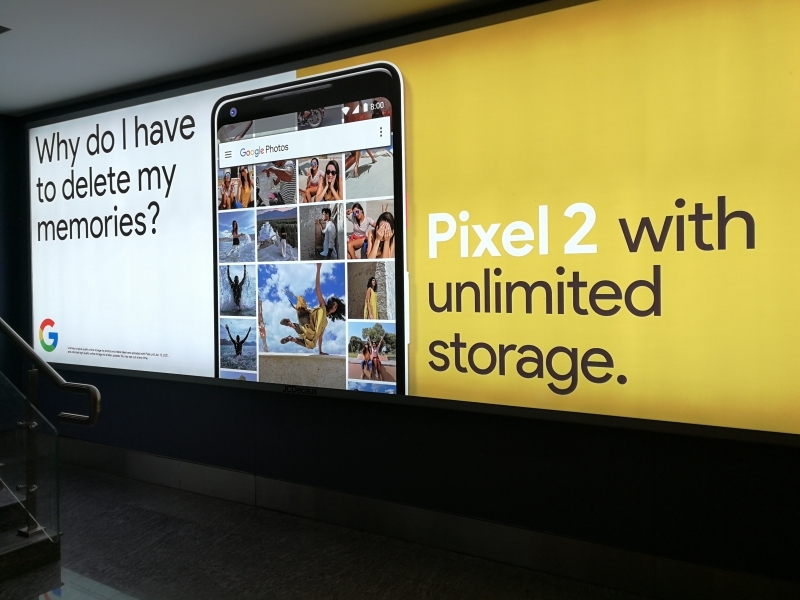 Google has been heavily promoting the Google Pixel 2 and Google Pixel 2 XL from TV spots in the US to large ads in non-US airports like this one in the Bangalore airport. 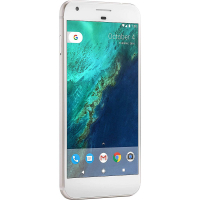 The Google store has also been offering heavily discounted promotions with the Google Pixel 2 and Google Pixel 2 XL where you can get $100 of credit at the Google Store and a free Google Home Mini. 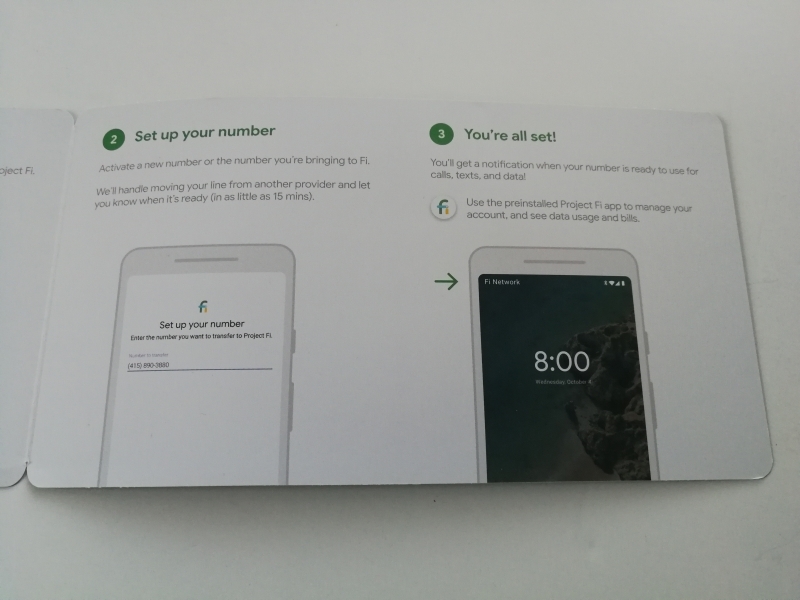 We ordered the Google Pixel 2 XL directly from the Project Fi store where we received both the phone and a Project Fi booklet. 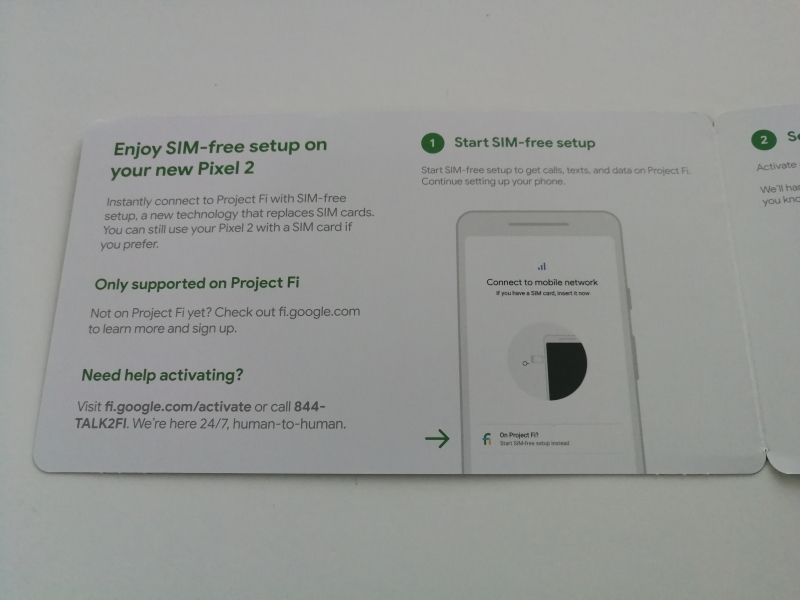 In the past, Project Fi used a special project Fi SIM card which would allow Project Fi phones to run on Project Fi enabled mobile networks around the world. 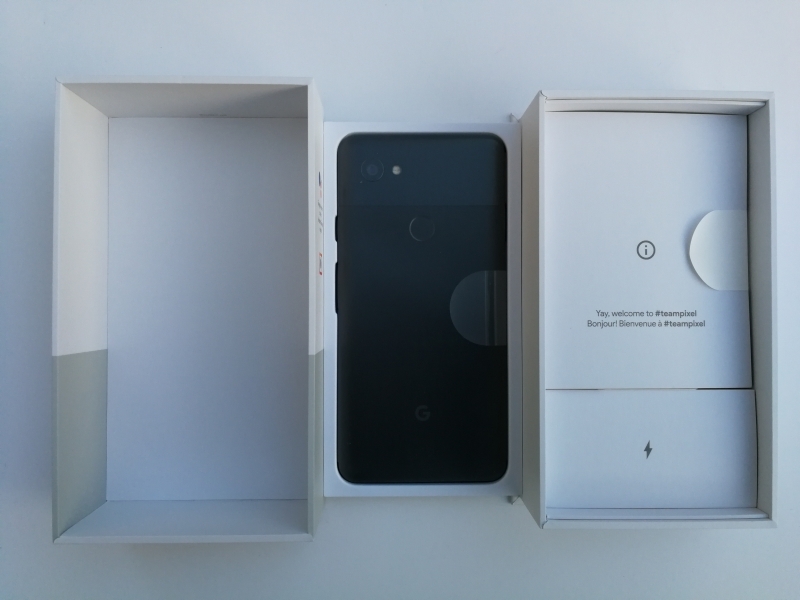 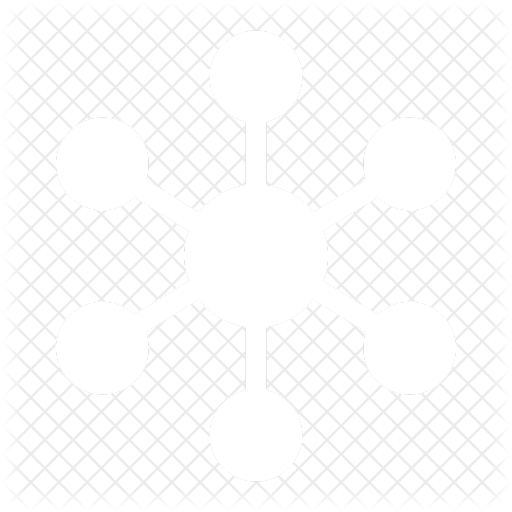 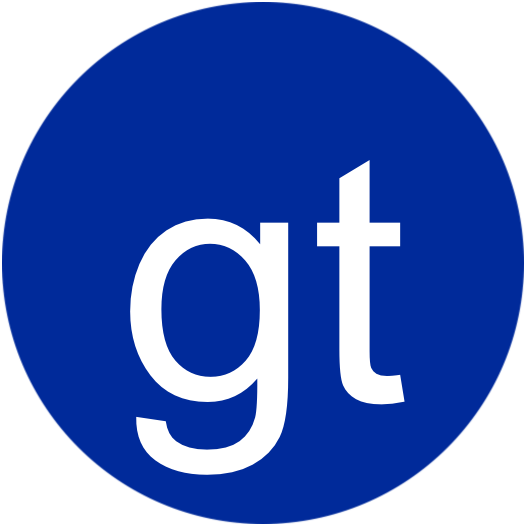 The Google Pixel 2 and Google Pixel 2 XL are the first phones to use eSIM technology which enables phones to operate on a mobile network without having a physical SIM card, a legacy technology which has been around since 1991.
eSIM technology had previously only been implemented on other devices like the Apple Watch Series 3 that need mobile connectivity but don't have space for a traditional SIM card. 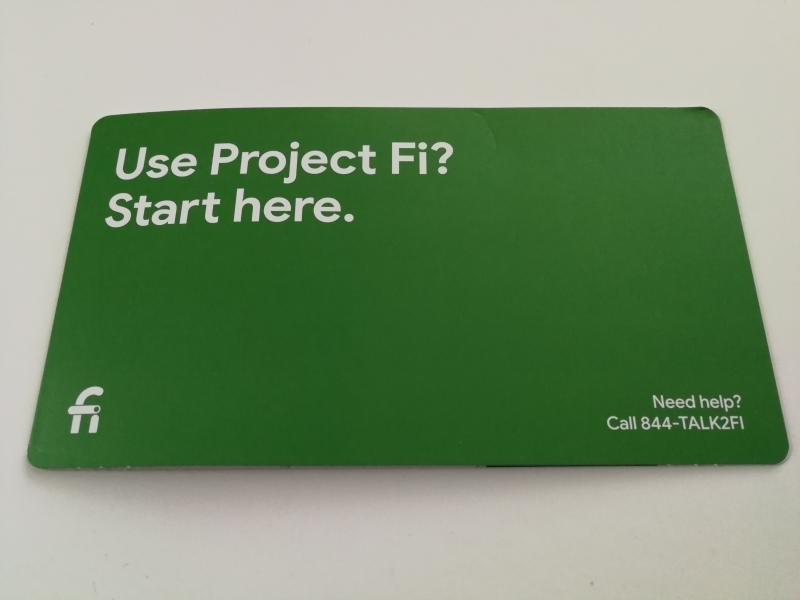 Going eSIM makes a lot of sense for Project Fi since there are no physical stores to help set up your SIM card so users have to fumble with SIM card replacement or installation themselves. 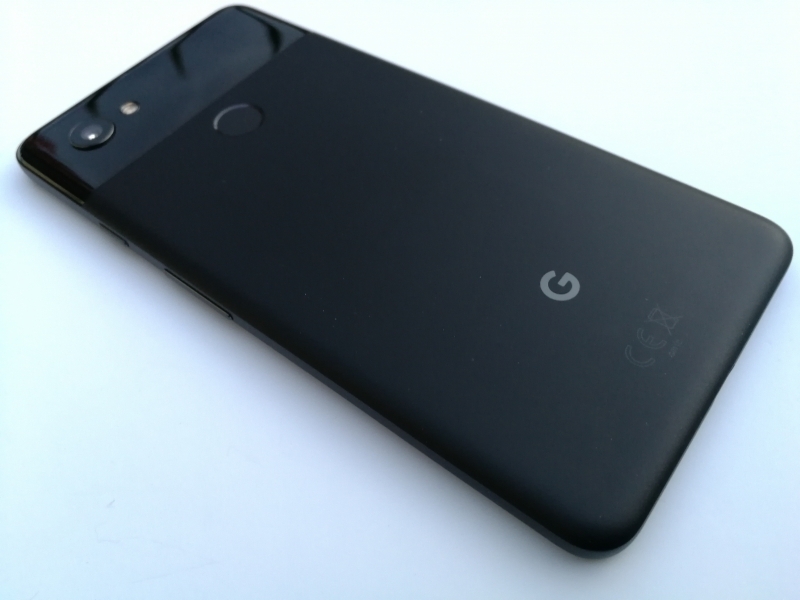 The Google Pixel 2 and Google Pixel 2 XL can also still use SIM cards from traditional mobile carrier networks like Verizon which is also heavily promoting the phone. 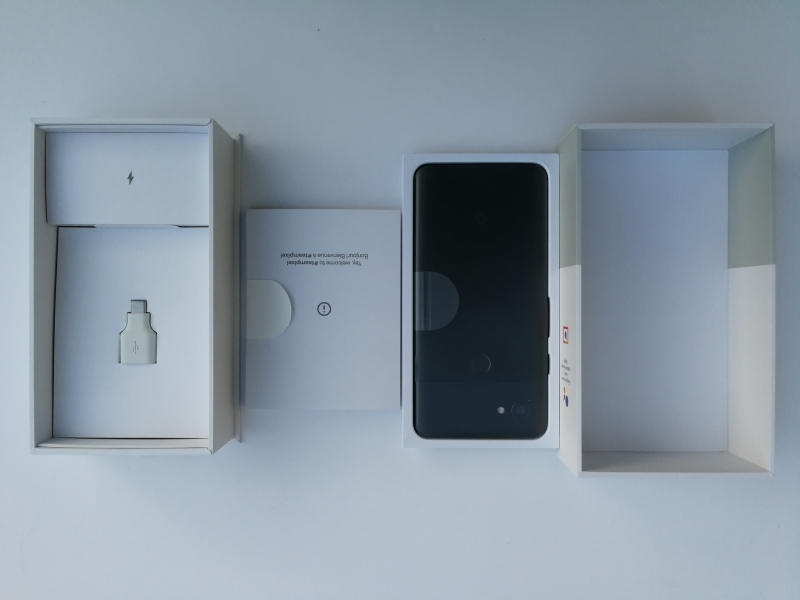 The Google Pixel 2 XL comes in a sturdy, well designed package that stays true to Google's color scheme. 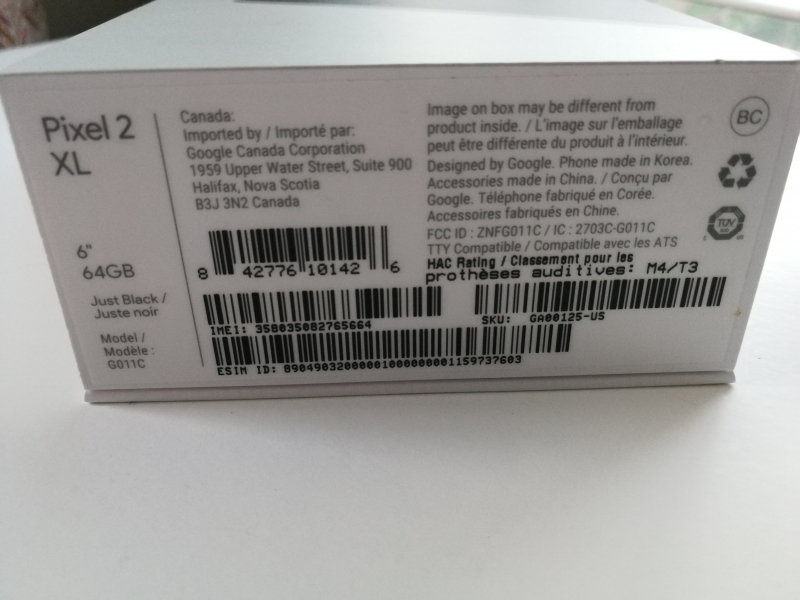 Interestingly, the Google Pixel 2 XL while sold in the US, was imported by Google Canada based in Nova Scotia manufactured by LG in Korea. 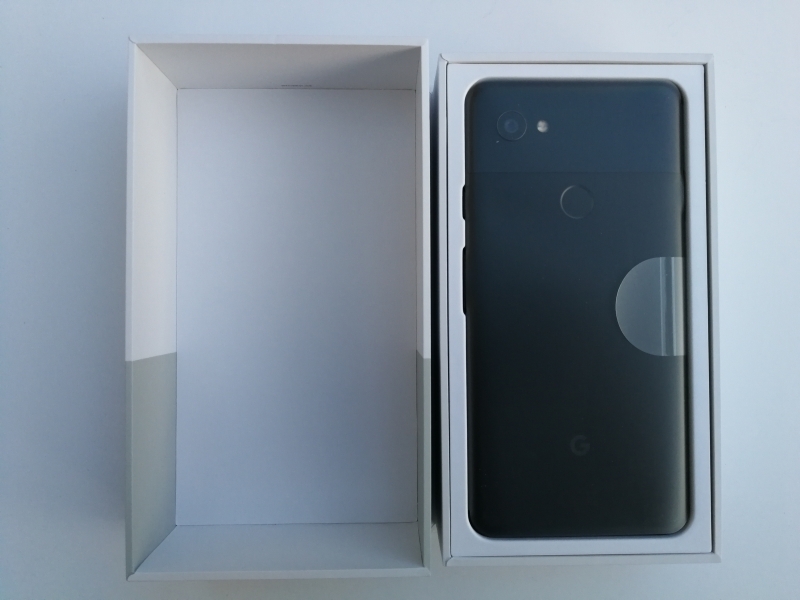 Note the Google Pixel 2 is made by HTC in Taiwan. 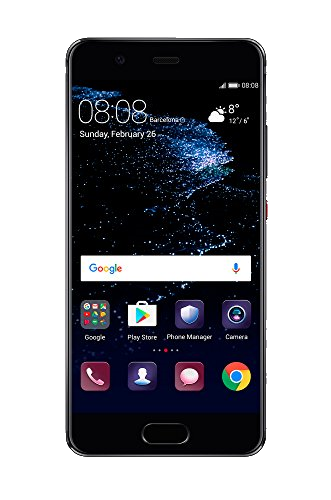 Both LG and HTC have been struggling with their own phone brands so it makes a lot more sense to partner as manufacturing partners to Google. 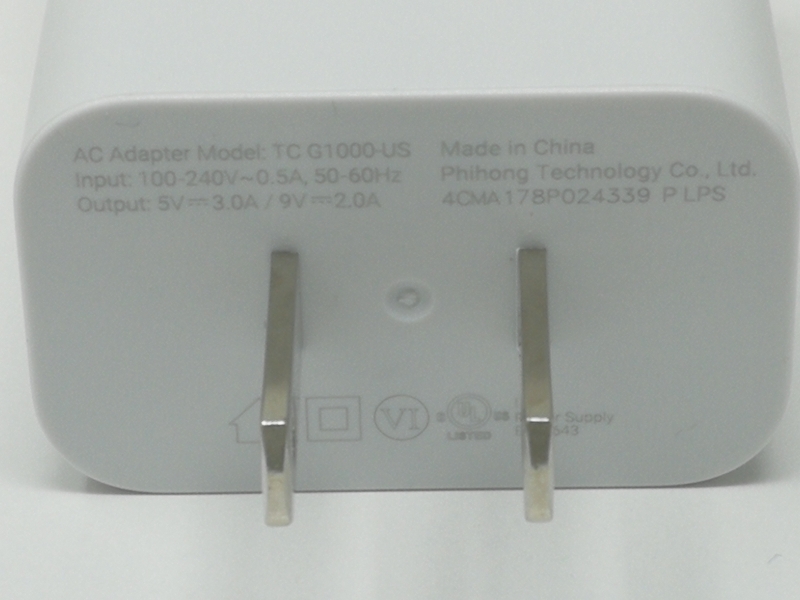 Opening up the box, we can see what accessories are hidden underneath the phone. 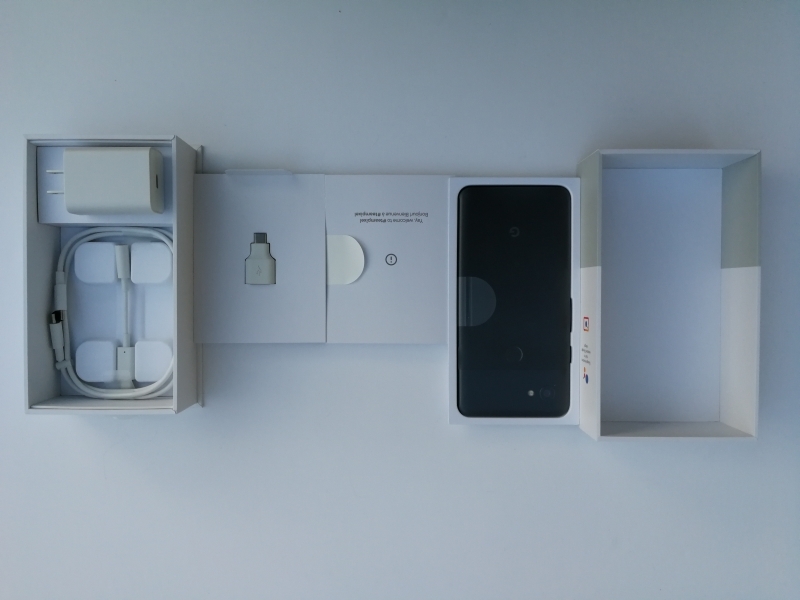 The Google Pixel 2 XL comes with a 18W USB Power Delivery based USB Type-C power adapter, USB Type-C to Type-C cable, USB Type-A female to Type-C male adapter, USB Type-C to 3.5mm audio adapter, SIM removal tool, and getting started and safety documentation. 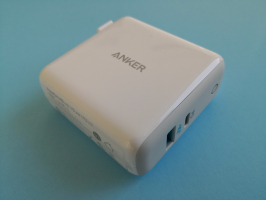 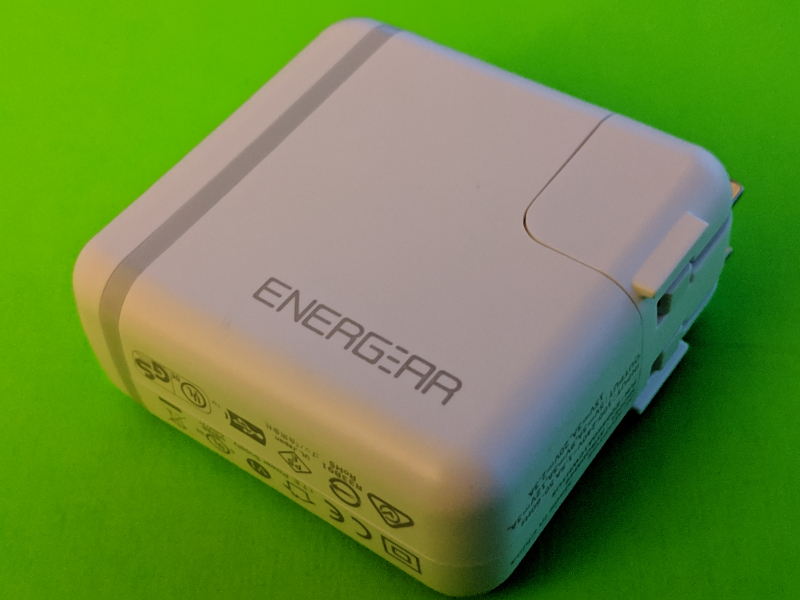 The 18W charger is different from the original charger shipped with the original Google Pixel (seen in this review) but still supports 15 watts (5 volts @ 3 amps) and 18 watts (9 volts @ 2 amps) power profiles. 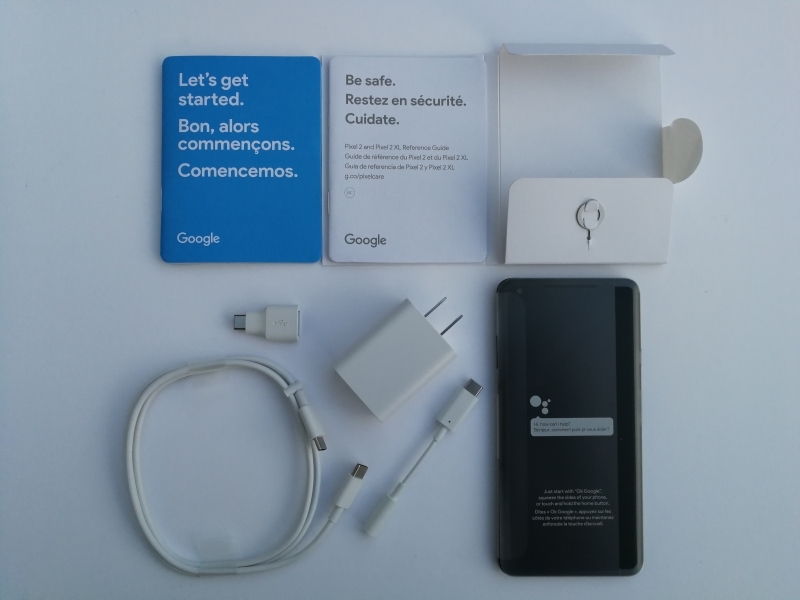 Given the dual English and French language used in the packaging materials, the phone we received is definitely a Canadian version. 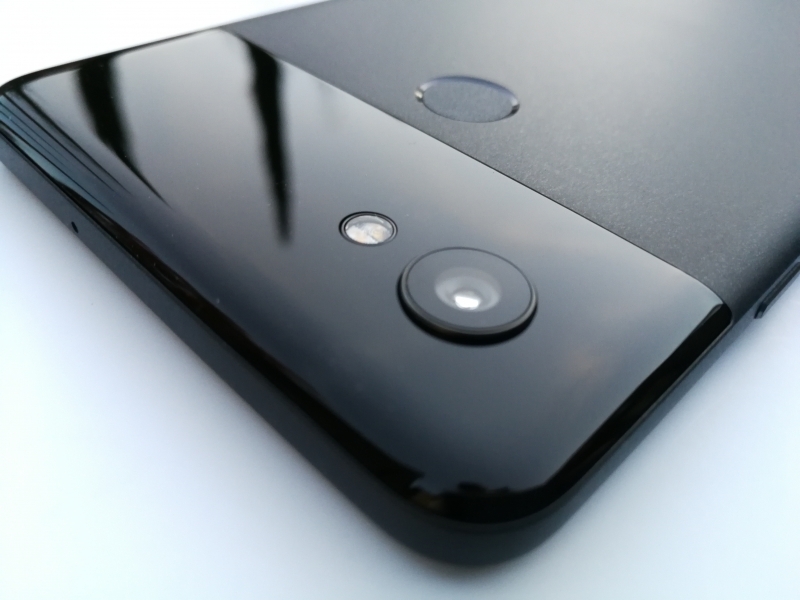 The Google Pixel 2 XL has a more premium look and feel compared to the original Google Pixel. 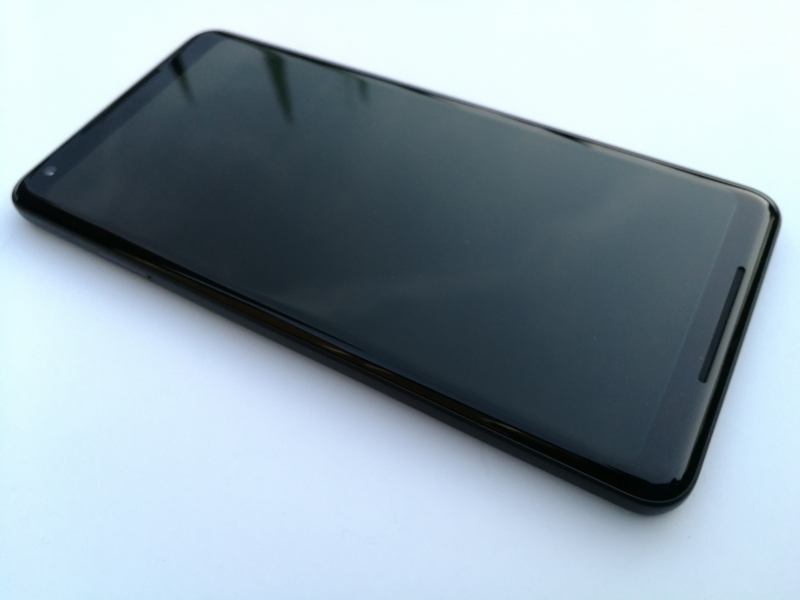 The edges of the Google Pixel 2 XL's screen extend a lot closer to the edges giving you more display area. 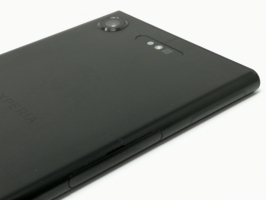 The back of the phone uses a lot less plastic compared to its predecessor and the feel of the metal material has a better texture as well. 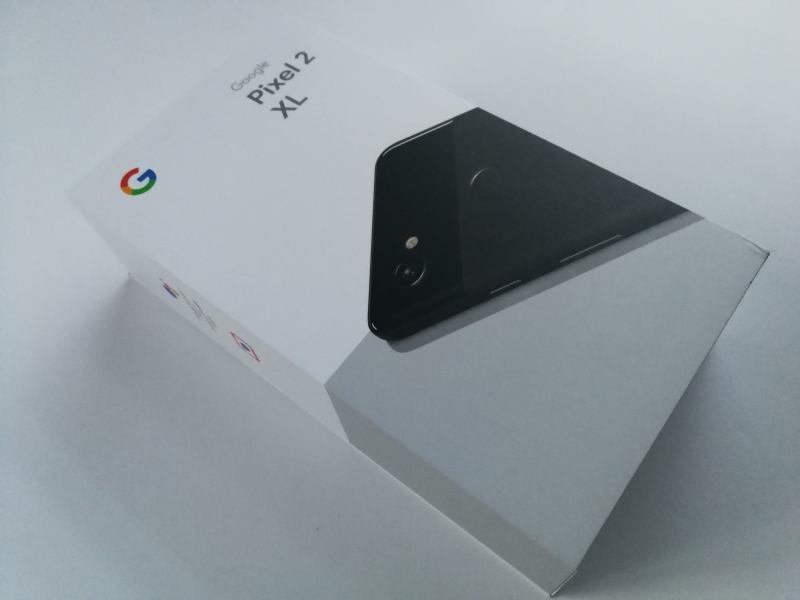 Google has done very good marketing with the Google Pixel 2 XL where many consumers have heard about the phone's excellent camera quality and unlimited storage of photos and videos which are automatically uploaded to the cloud using Google Photos. 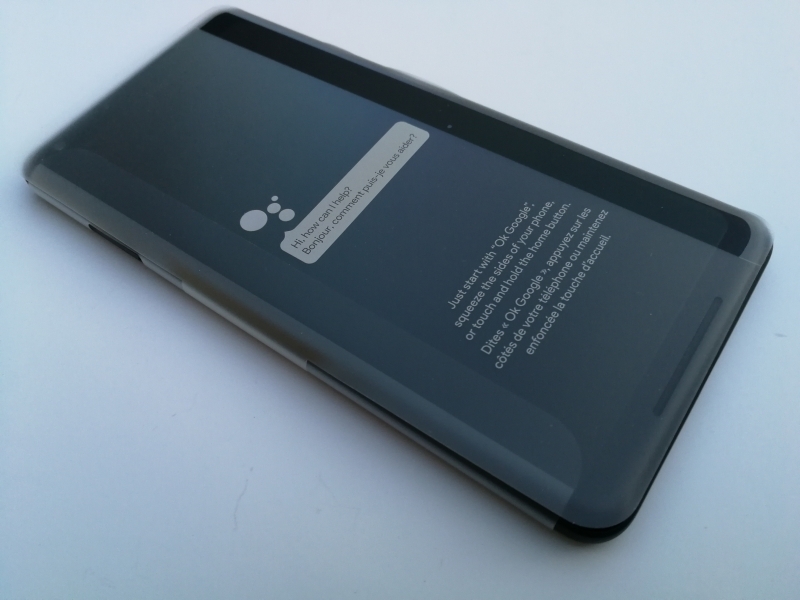 The edges of the Google Pixel 2 XL now come with sensors that sense and vibrate when you squeeze the phone below the volume button, allowing you to call up Google Assistant a lot easier. 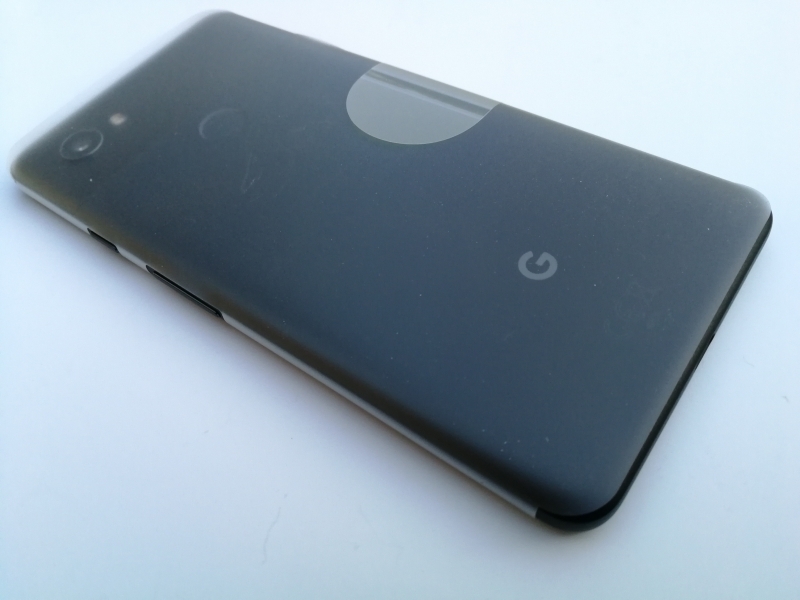 One of the big changes with the Google Pixel 2 XL is the removal of the 3.5mm audio port which follows similar moves from other phone vendors. 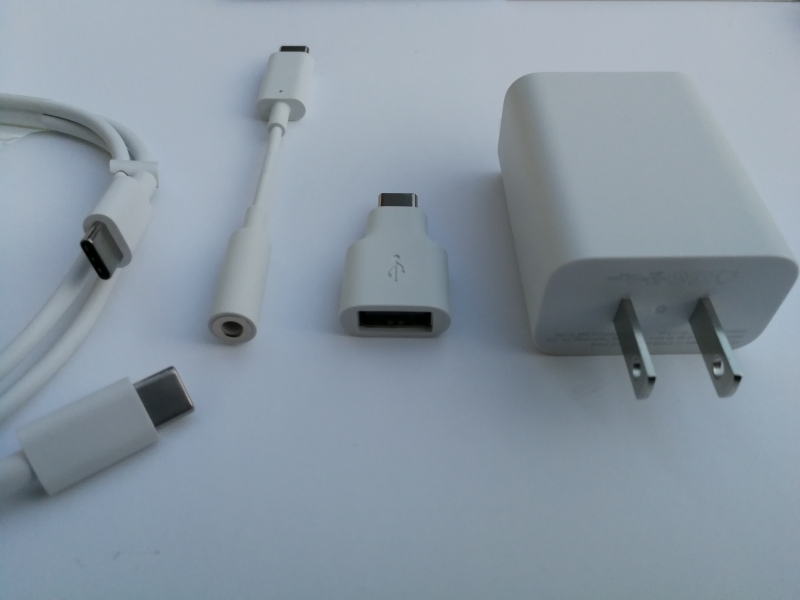 All wired audio comes through the USB Type-C port and Google offers a USB Type-C to 3.5mm adapter. 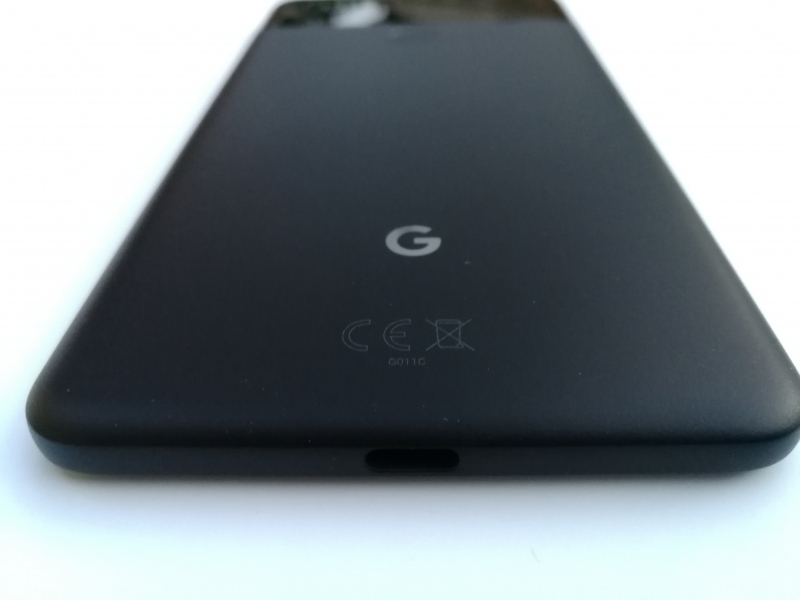 Note if you use USB Type-C headphones or speakers with the Google Pixel 2 XL, you should use one that is using digital USB audio. 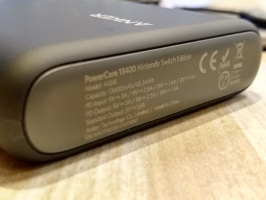 The Google Pixel 2 and Google Pixel 2 XL are one of the few flagship phones out there that stay true to just sticking with USB Power Delivery over its USB Type-C connector, and don't try to support other charging schemes. 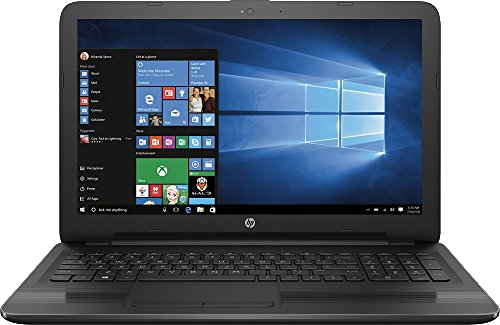 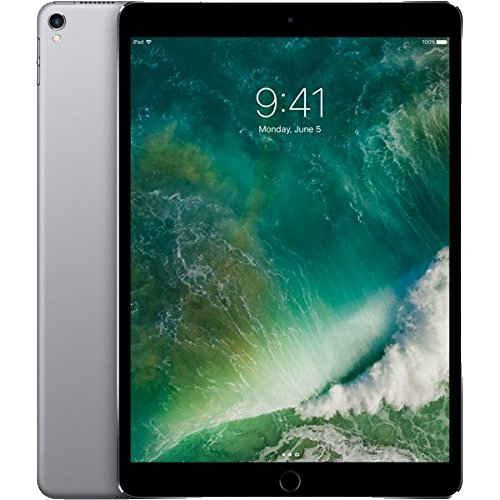 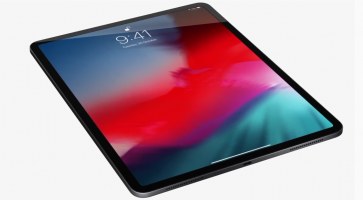 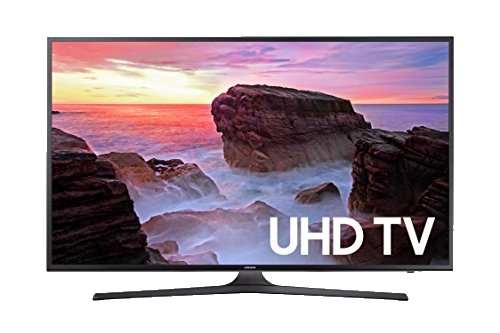 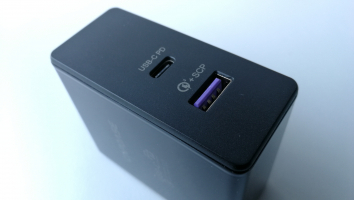 They also support USB 3.1 Gen 1 (5 Gb/s) speeds but not DisplayPort Alternate modes or even Miracast for video, preferring to use Chromecast as the main way to cast video from the phone. 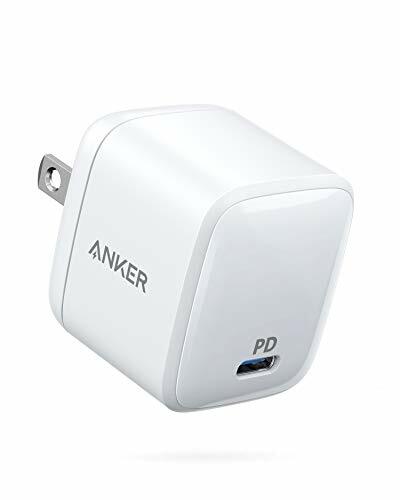 Also, unlike other phones, Google doesn't try to sell you a faster charger for the Google Pixel 2 and Google Pixel 2 XL. 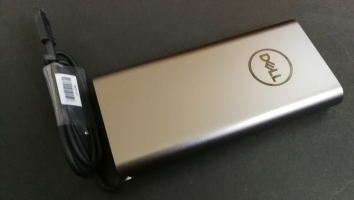 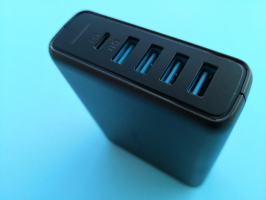 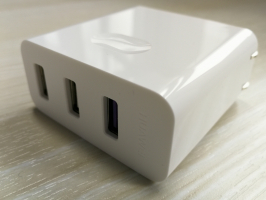 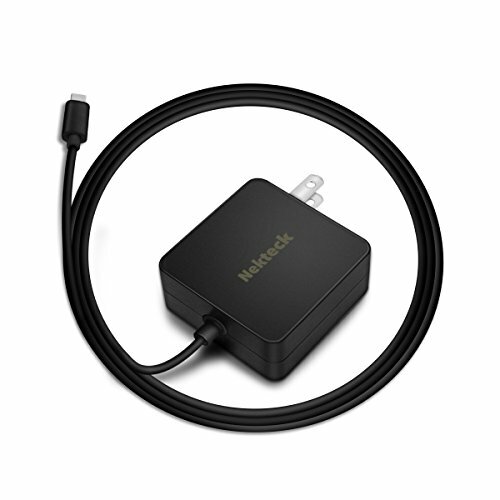 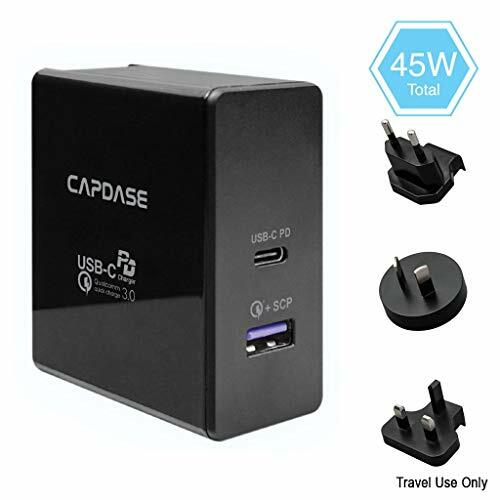 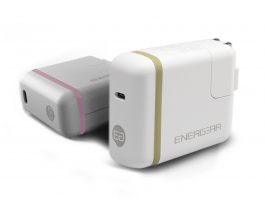 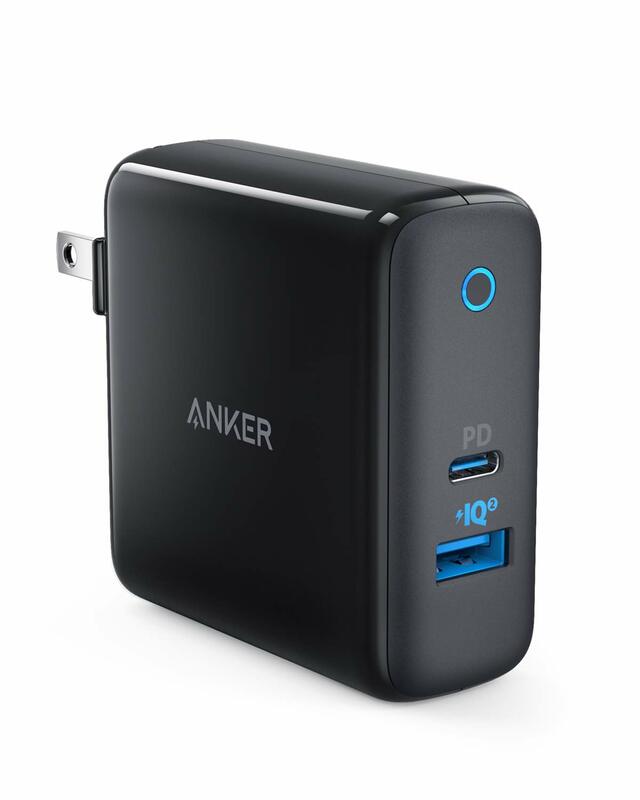 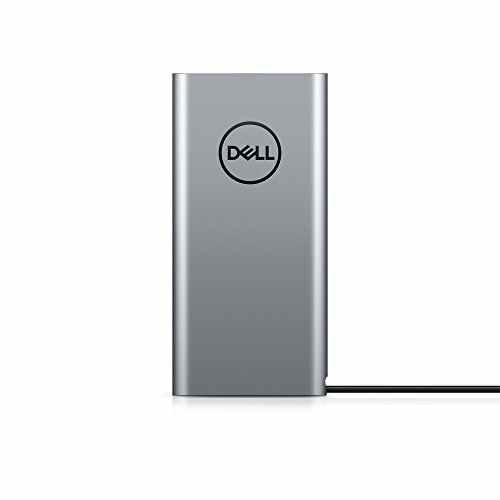 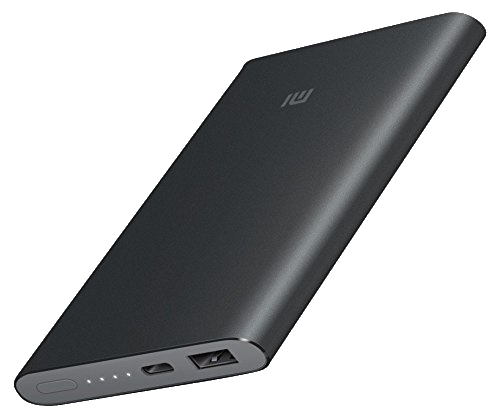 The 18W USB Power Delivery charger that ships with the phones is all you need for faster charging. 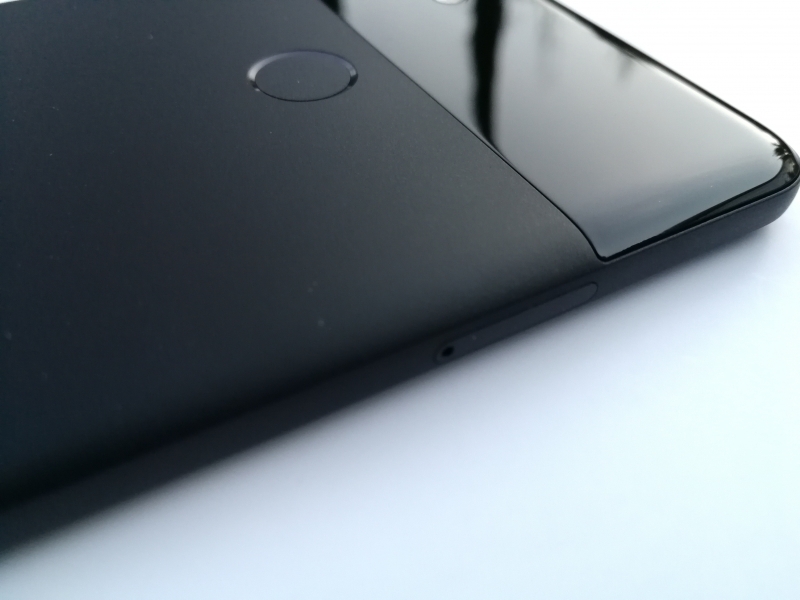 In fact, based on testing we've done, the Google Pixel 2 XL only draws 18W for brief periods of time during the initial charge or when the phone is off. 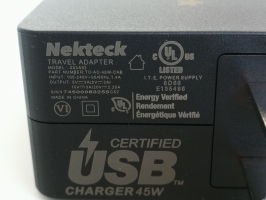 When the phone is on, most of the charging is at 15W when the phone is asleep or 5W when the phone is active and being used. 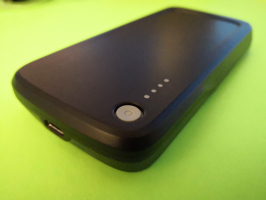 Charging behavior during dead battery is also improved over its predecessor where the Google Pixel 2 XL will charge faster allowing you to turn it on. 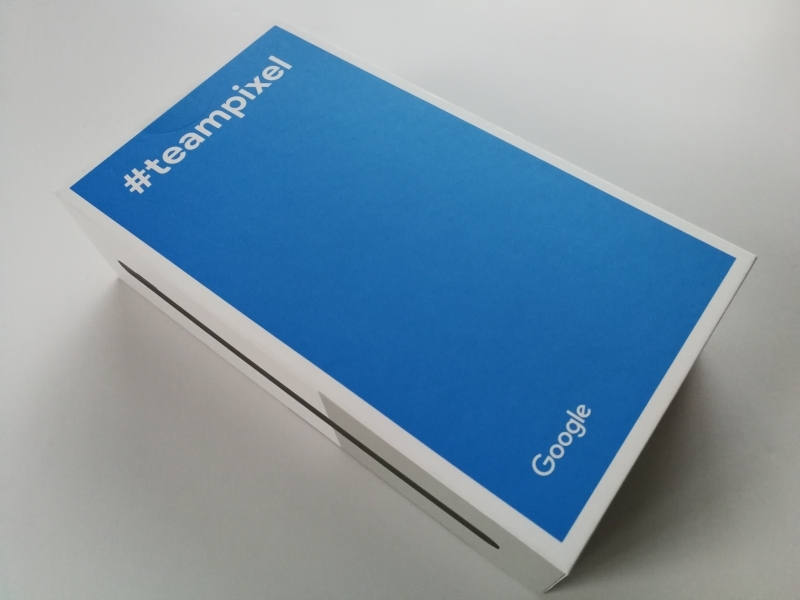 Google has come a long way since its Nexus phones and the Google Pixel 2 and Google Pixel 2 XL show what Google can do by combining technology excellence, marketing muscle, and design quality into a single package. 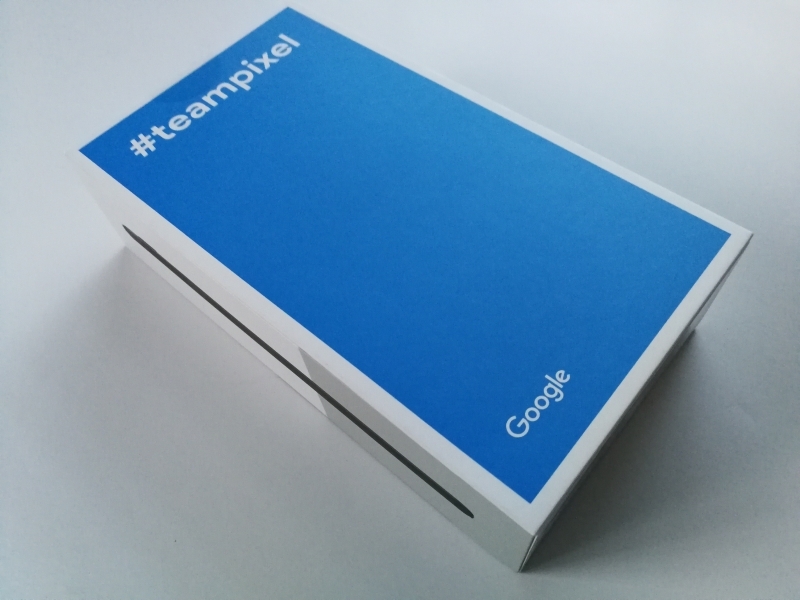 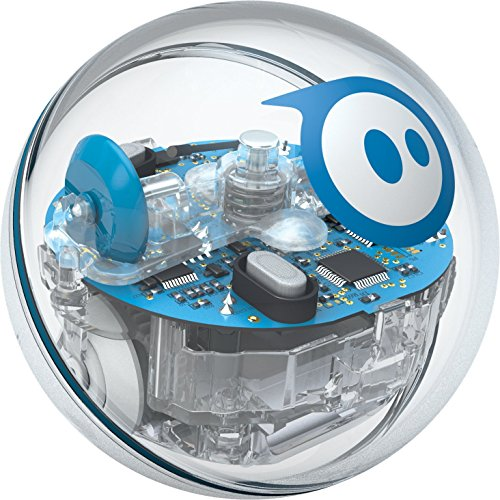 They promise to increase Google's market share in the smartphone arena much further than what was accomplished with the Google Pixel. 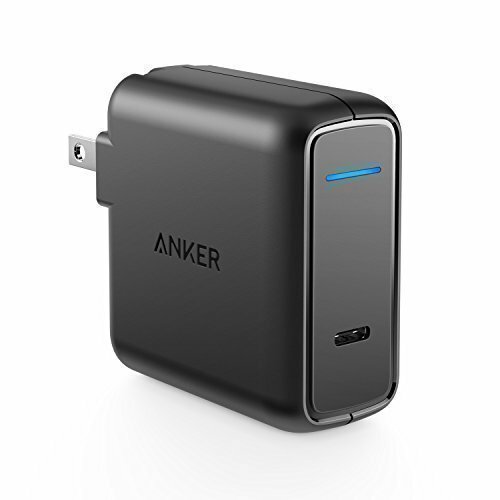 Using the USB Power Test App from Granite River Labs with the Granite River Labs USB Power Delivery Compliance C2 Tester, we can quickly check what power profile the Google Pixel 2 XL supports by running the following tests. 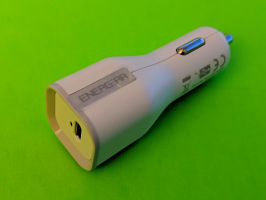  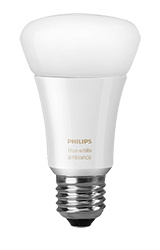 The USB Power Test App first negotiates a power contract emulating the Source to determine the Power Delivery Sink capabilities of the Google Pixel 2 XL. 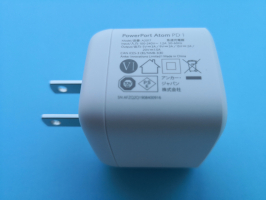 The USB Power Test App then reports out the voltage and current supported by the phone for each of the Source PDO's advertised to the phone. 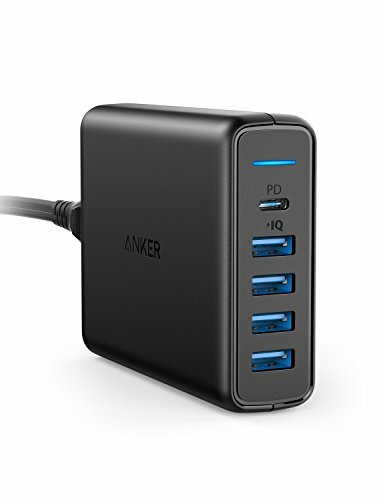 The USB Power Test App from Granite River Labs also produces a voltage, current trace plot which graphically shows the voltage and current requested by the Google Pixel 2 XL for each advertised Source PDO throughout the power negotiation.